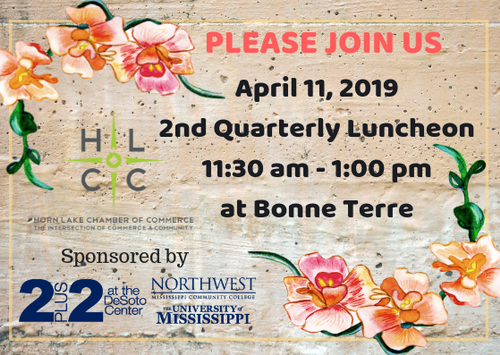 Please join us for our Second Quarter Luncheon sponsored by University of Mississippi, Northwest Community College 2+2 Program to be held April 11th at Bonne Terre. $25.00 per person. If you cannot attend and have already RSVP'd, please understand that we will have to charge you if you do not cancel at least 3 days prior to the event.